The Bahamas – or The Commonwealth of the Bahamas – is a country consisting of over 700 islands of various size, situated in the Atlantic Ocean, not far off the shores of the United States. As a result, casinos in the Bahamas are a popular destination among American tourists on vacation. Casino gambling in the Bahamas has been legal since 1969, and accounts for a large percentage of the country’s tourism, which in turn plays a great role in the Bahamas’ economy. As a country with such a tradition in gambling, it might be surprising that Bahamian locals are banned from the casinos in the country. It is also illegal for residents of the Bahamas to access foreign online gambling sites. ** This law does not seem to be enforced however, and players are not prosecuted for accessing foreign online casinos, and gambling websites are not blocked. Land-based casino gambling is legal in the Bahamas, and extremely popular among tourists to the country, especially those from the United States. However, locals are banned from participating at all of the Bahamian casinos. The largest brick and mortar casino in the Bahamas in the Atlantis Resort situated on Paradise Island. The establishments boasts over 75 gaming tables as well as 750 slot machines. Games offered include blackjack, baccarat, roulette, various forms of poker and craps. A mobile version of the Atlantis casino is also available for download, but can only be played within the boundaries of the resort. Currently there is no online casino operating out of the Bahamas. Bahamian locals are not allowed to access foreign online gambling platforms either. However, such sites are not blocked and players are not prosecuted. Bingo is legal in the Bahamas, and is offered by most of the casinos in the country. As Bahamian residents are not allowed to enter these casinos, there are no bingo venues available for the locals. Permitted are only those games, which are held with the intention of raising money for charity, not for-profit gambling. Charity bingo nights have been held by the Bahamas Humane Society, raising money for the well-being of cats and dogs in animal shelters. There are no online bingo sites based in the Bahamas. As with online casino gambling sites, the websites are not blocked and players are not prosecuted. Participation in live poker games in the Bahamas is legal for tourists, but illegal for local residents. Poker games are available in several land-based casinos in the country. Variations of poker offered include Caribbean stud, Let It Ride and Three Card Poker Progressive and recently, Texas Hold’em. 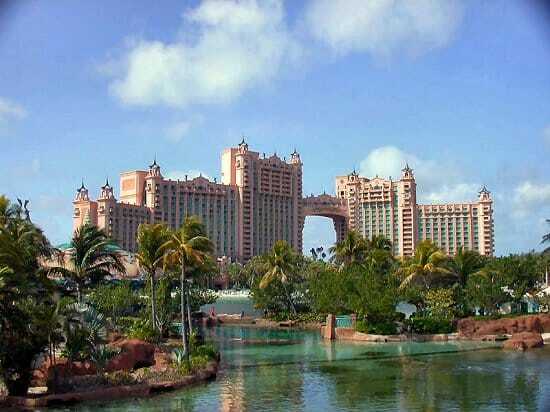 The PokerStars Caribbean Adventure Poker tour also takes place at the Atlantis Resort in January every year. With the yearly event of the online Poker giant taking place here, it might come as a surprise that poker and online poker are illegal for locals. However, in reality, these rules are not enforced and players, who play poker online are not prosecuted. Sports betting has been legal in the casinos of the Bahamas since 2013, and most casinos on the islands have seized the opportunity, offering several options for gamblers. Guests of the casinos can follow live events on several HD video feeds. Wagering opportunities include both sports games and horse races. The situation regarding online sports betting is the same as with all other forms of online gambling in the country: legal for tourists, illegal for locals, but it’s not prosecuted and the websites are not blocked. As the 2013 referendum aiming to establish a national lottery was rejected, there are currently no legal options for Bahamian residents to participate in lottery games, online or offline. Access to foreign lottery websites is not blocked, and many foreign online lotteries and lottery agents let people from the Bahamas purchase lottery tickets online. Bitcoin gambling is not specifically mentioned in Bahamian gambling regulations. However, all forms of gambling are illegal to residents of the islands. And as all other forms of online gambling in the Bahamas, Bitcoin gambling is also not prosecuted and websites are not blocked. An overview of the legal status of the various forms of gambling in the Bahamas.